In this post, The Westchester Park Blog is featuring a few tips to help you build and express your creativity this month. We hope that you have a December full of creative ideas and unique discoveries. Try something new. One way to increase your creativity is to expand your experiences. Take a class at a community center here in Manhattan KS, take a trip, read a book, start painting, or begin writing your novel. Be open to new experiences. Don’t turn down an experience just because you think you “might not” like it. Go ahead and try it — you never know what will spark your next brilliant idea. Meet new people. Get to know your neighbors, strike up a conversation with a coworker, or take a cooking class with strangers. Talk to the person standing next to you at the grocery store or chit chat with your local librarian. The people around you may inspire you in surprising ways. Get out of the apartment. A short road trip out of town can do a great deal to inspire and uplift you. Exploring different parks, restaurants, and stores in Manhattan, KS can be a great way to experience new things. Discover something new and be inspired by heading out of your Westchester Park apartment this month. Brainstorm with others. One of the easiest ways to develop your creative ideas is to share them with others. Refine your creative goals by brainstorming with a group of likeminded individuals, or get a fresh perspective by sharing your ideas with someone who disagrees with you. Take a class (or two). Creative ideas can come from anywhere. Take every opportunity to learn new things. Read books, take classes, or develop a new skill. If you’re a painter, consider taking up sculpture or mechanics. If you’re a mechanic, consider taking up writing or sculpture. Your next brilliant idea could be inspired by your yoga class or your reading seminar. 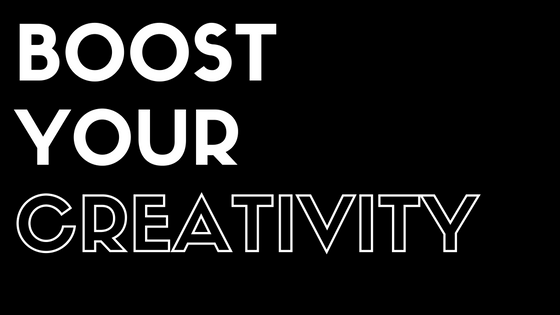 How do you express your creativity? Let us know in the comments. Thanks for reading!